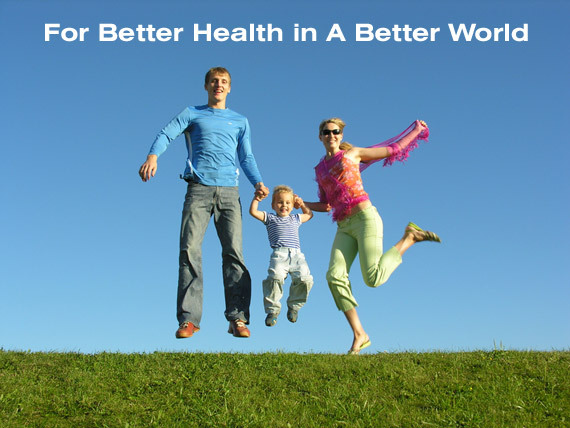 As a chiropractor in Freehold, NJ, I find it so important to educate my patients on how to be healthy naturally. People are constantly researching the internet for information, not realizing many of the research is funded by the companies trying to push drugs, surgery and other products onto the public. I put together a report for my patients on how to be healthy naturally without drugs or surgery and I am now sharing this information with a series of blog posts. We learn many new facts and bits of information every day. For example, when we turn on the radio or television, someone is usually speaking about a current event, a past event, new research, or new products that promise amazing results. We even learn information by watching game shows on television that test our knowledge, and compare it to a 5th grader. Commercials are pushing one drug after another. I’ve even heard one recently for a pill for women saying, “There is no medical need to have your period, call your doctor to take _________.” This is pure insanity! These drugs cause imbalances of the normal female hormones and have many dangerous side effects. We learn from our friends, on the job from our boss and other employees and from our parents and grandparents. We also learn from every professional that we hire – our dentist, medical doctor, chiropractor, lawyer, accountant, website master, and personal trainer. As researchers discover more and more knowledge, our knowledge has to be updated. The majority of research is proven to be wrong as years go by, and a lot of the research is biased as I mentioned before as it is funded by people trying to sell something. Remember when you were a child taught to wash your hands with bar soap? Years later, there was a shift to anti-bacterial soaps. And now, the latest research is that good old regular bar soap is really the best way to get our hands clean and keep the bacterial count low, whereas the anti-bacterial soaps are actually creating super bacteria that antibiotics don’t work on and putting our immune systems and health at risk. Have you noticed that there are gaps in your knowledge about how to do things “right” or “better”? For example, years ago when your parents tucked you in bed when you had a fever with a dose of aspirin and covered you with a light blanket. You slept on a flat pillow and a few stuffed animals surrounded you. They believed they were doing everything they could do to help you get better. Now knowledge has progressed to the point where we know that it’s possible to burn out a fever by piling up the blankets and taking some anti-infectious herbs. We know that the flat pillow may have been okay for you as a young child, but as your body grew, the pillow width should also grow to fit the curve in your neck. There are time gaps in our knowledge and some of these gaps may be contributing to you not recovering from whatever illness you suffer from. As a doctor of chiropractic, I have been well educated as a health myth buster, ready to fill in your time gaps in knowledge! I keep up-to-date on the latest research findings and love to educate my patients about how to stay healthy. It’s only when you’re healthy that I’m happy! The more recommendations you can incorporate into your lifestyle, the quicker you can put your health issue behind you in the past. If you have any questions about any of the recommendations, be sure to contact me or ask me at the office during your next visit. Knowledge is power! When I was in chiropractic school, every day was so amazing to me because I was learning so much! I found out why I had neck pain from sitting at my desk in a certain way, why my arm would get numb when I woke up in the morning, why taking a little mini-vacation during the middle of the day is one of the best stress busters, and all sorts of things like that. As I see it, you can now be the recipient of all that knowledge – without paying for that expensive education! Everything you learn here is to help make your life easier and this blog series is my gift to you! Watch out for each of the blog series to the very end and I’m sure you will discover answers to some of the questions you have probably had for years! 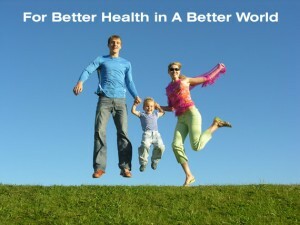 You deserve better health! Drugs and surgery do not bring health to a body. They just temporarily cover up symptoms and actually cause many side effects and other problems. This will lead you to a vicious cycle or poor health. Many of my patients from Freehold, Marlboro, Manalapan, Howell, Colts Neck, Jackson, Morganville and other local communities in Monmouth and Ocean counties in NJ have found my approach to health is true health care. People are sick and tired of the current health care system of just treating symptoms with harmful medications. We are giving patients their health and life back! Are you ready to gain your health and life back? If so, contact our office for your complimentary consultation!